In our October issue we have a great Giveaway! 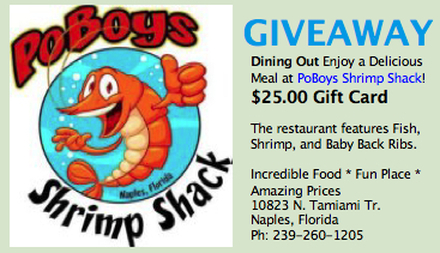 PoBoys Shrimp Shack is offering a $25 Gift Card! Visit our blog or Giveaway page to enter online!